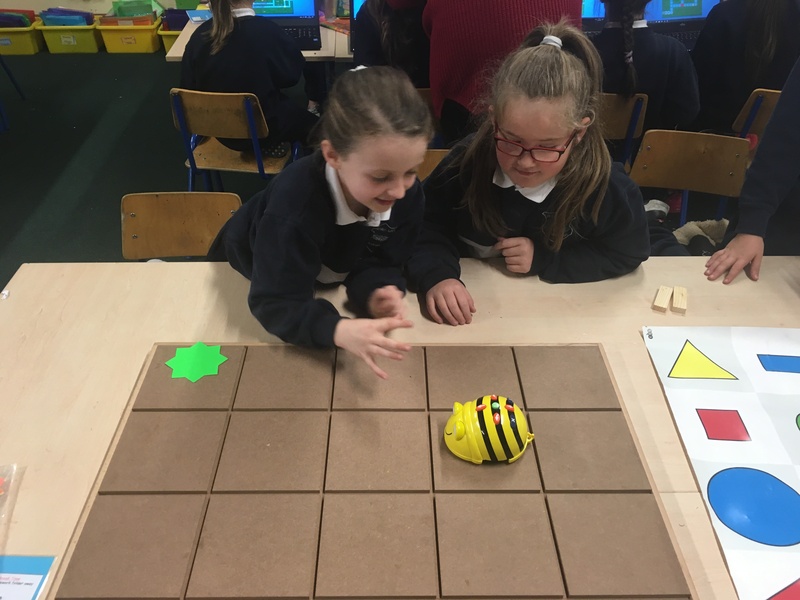 At St. Kevin’s GNS, we value the importance of STEM education (Science, Technology, Engineering and Maths) for our students and we endeavour to expose them to STEM in interactive and fun ways across many subject areas. 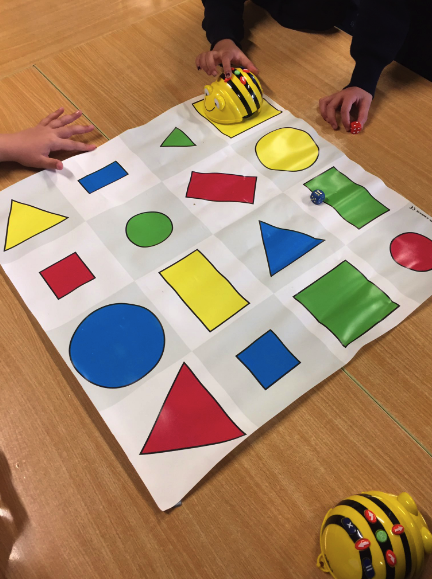 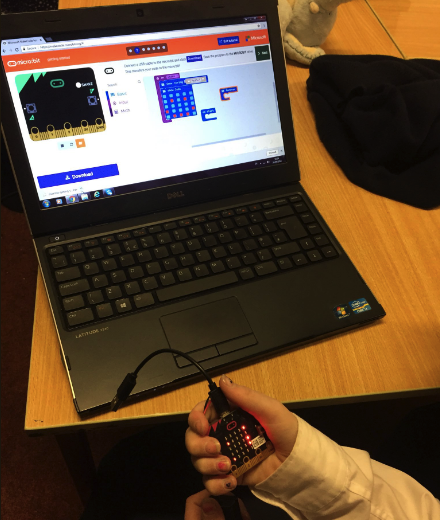 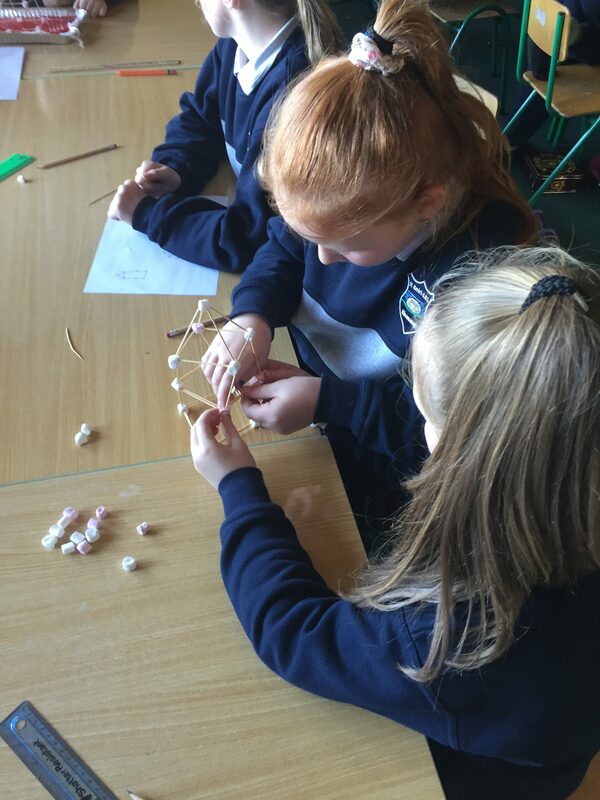 Every year, classes participate in Maths Week, Science Week as well as Engineering Week and Code Week. 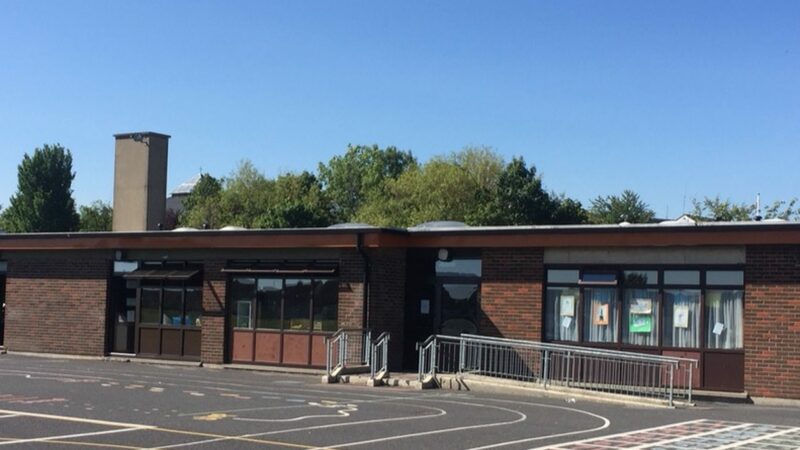 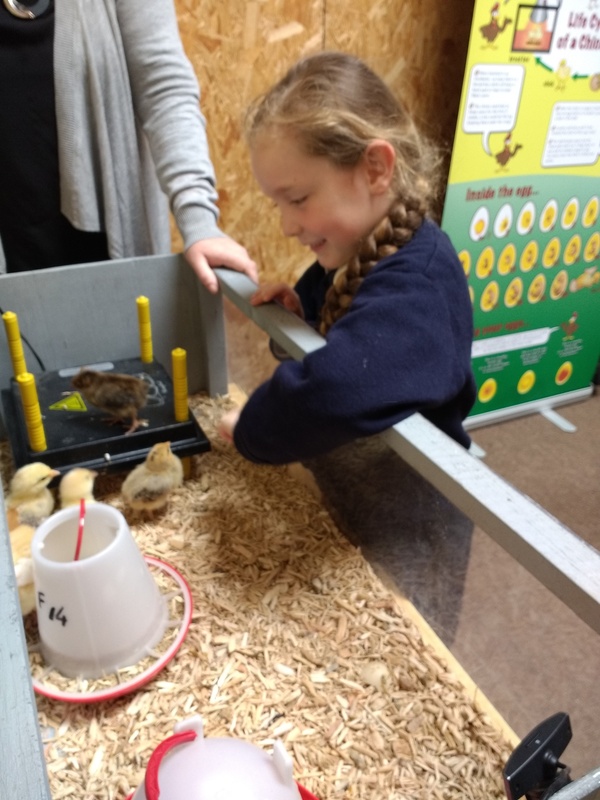 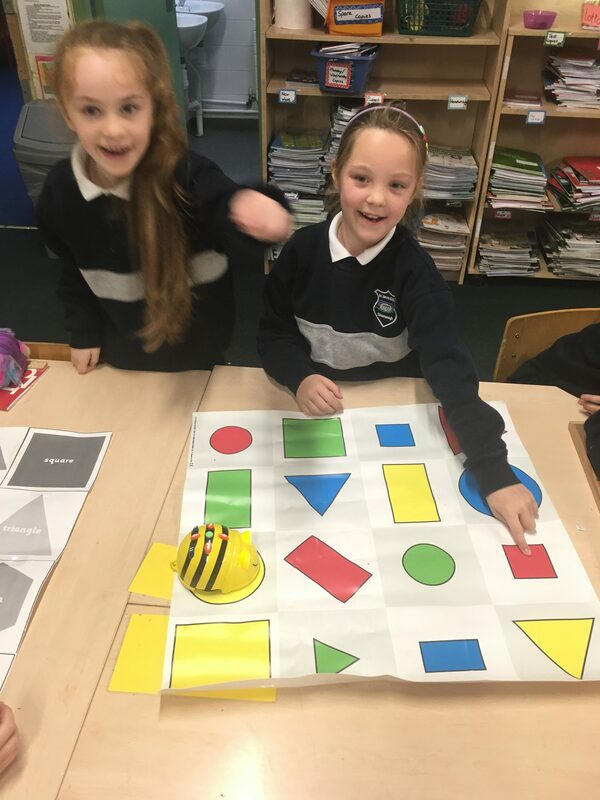 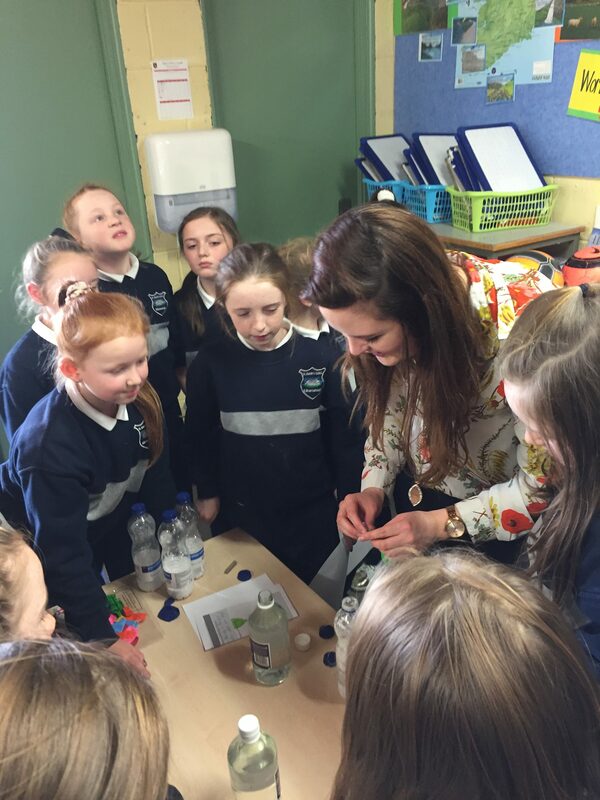 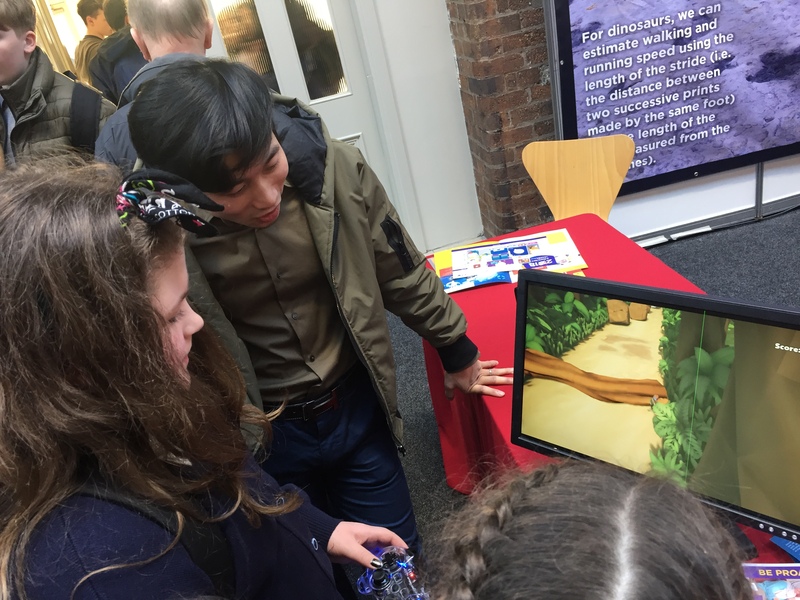 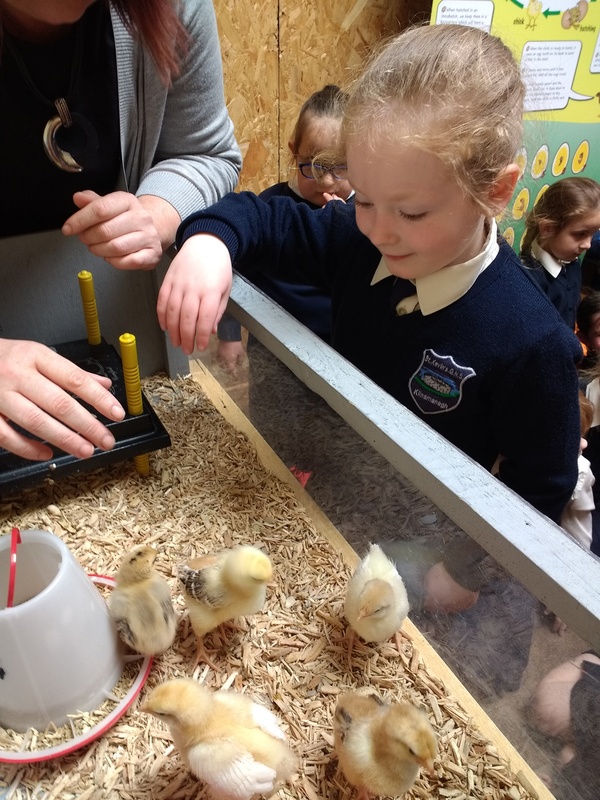 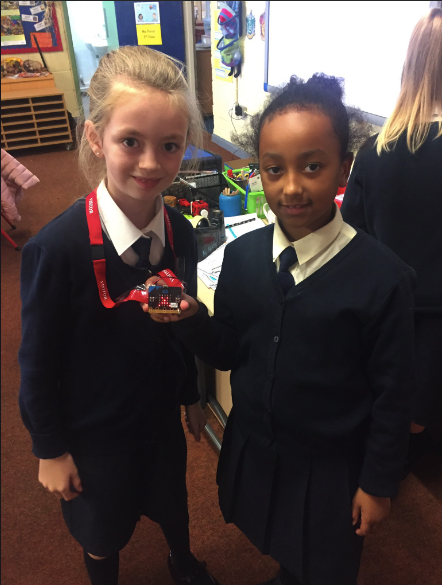 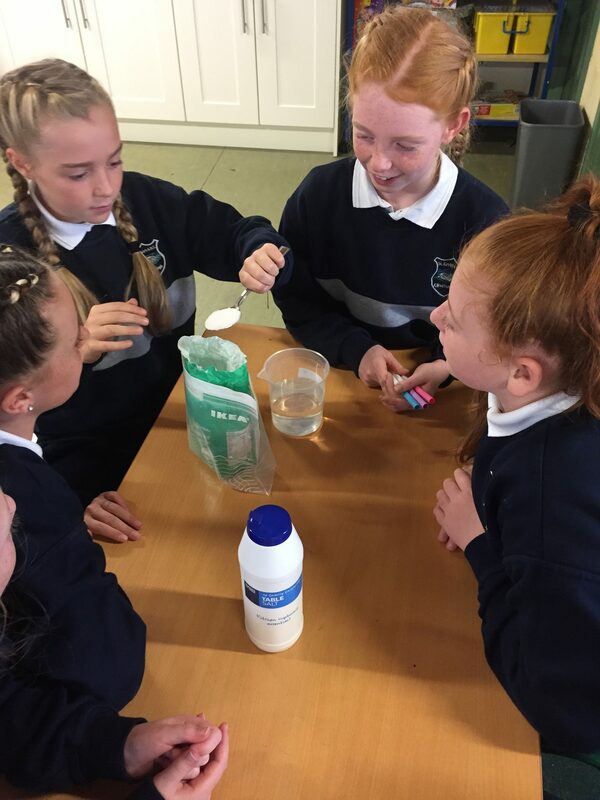 Classes also regularly participate in STEM mornings, Science and Engineering fairs, projects, coding across the curriculum, external school STEM events and visits from people working in STEM areas. 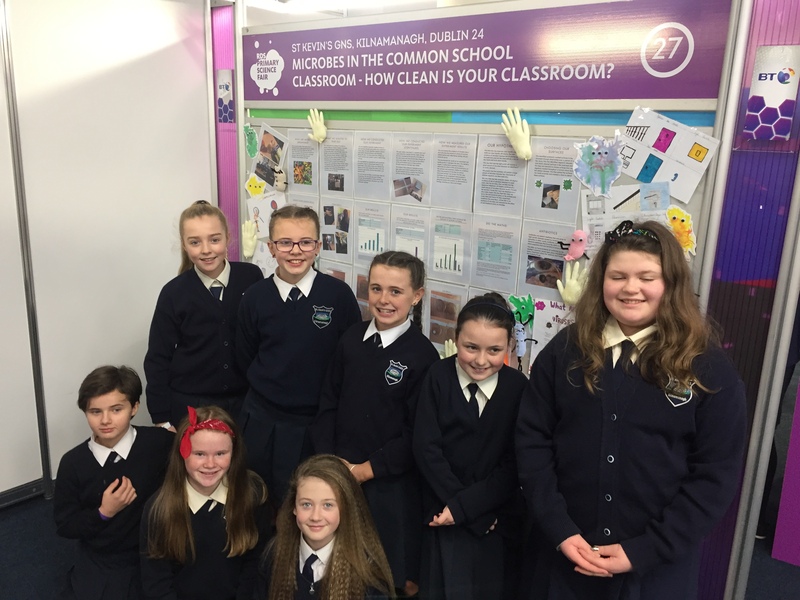 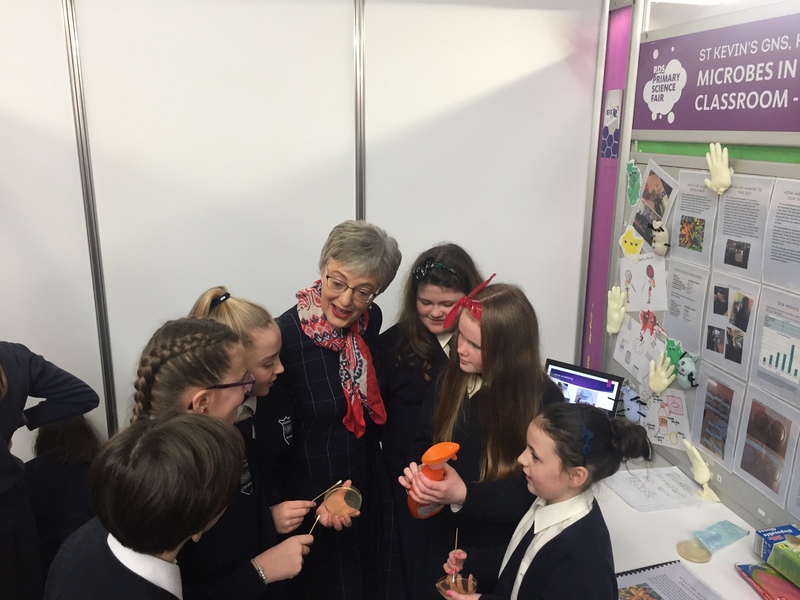 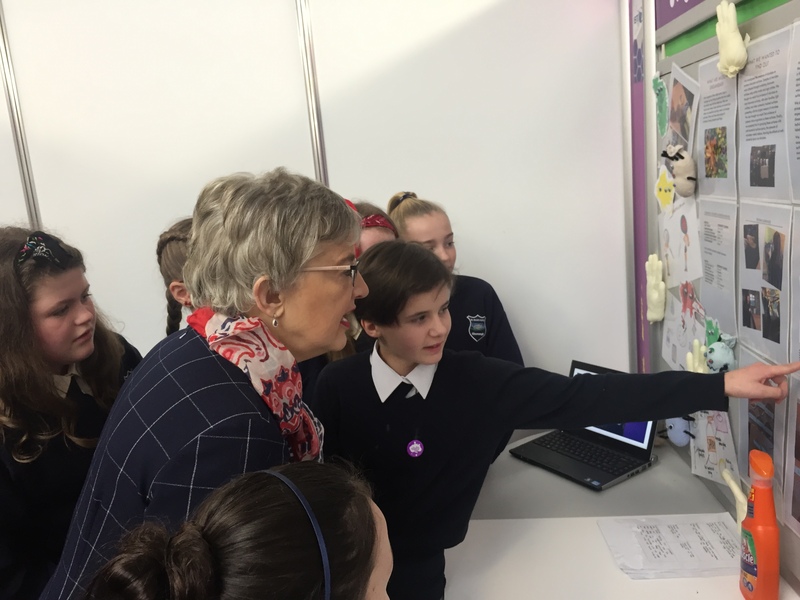 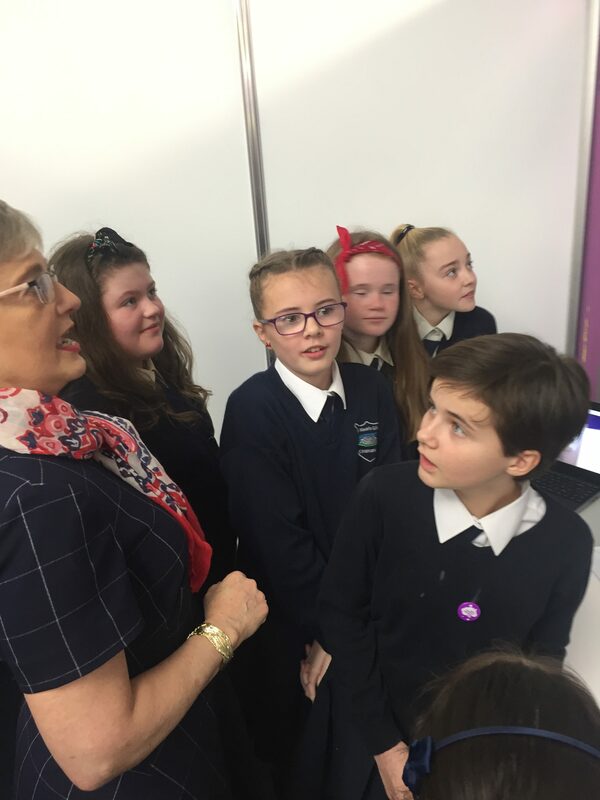 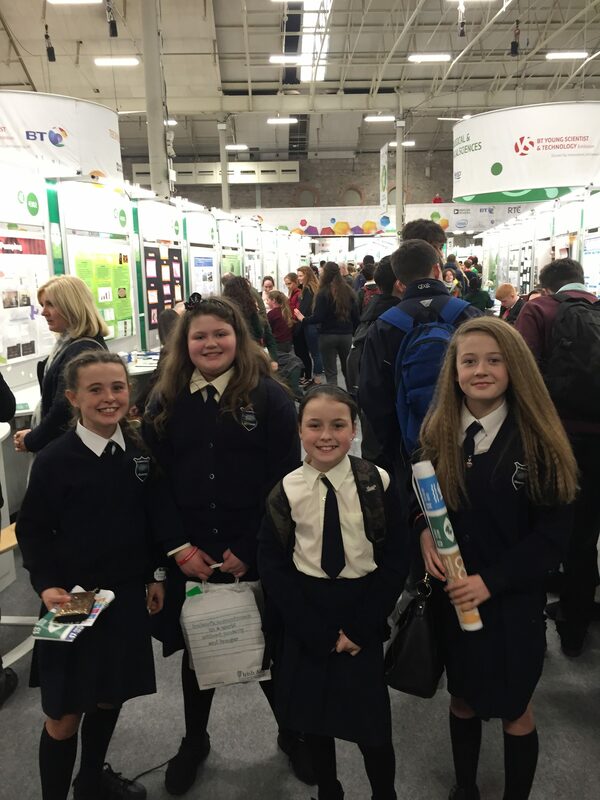 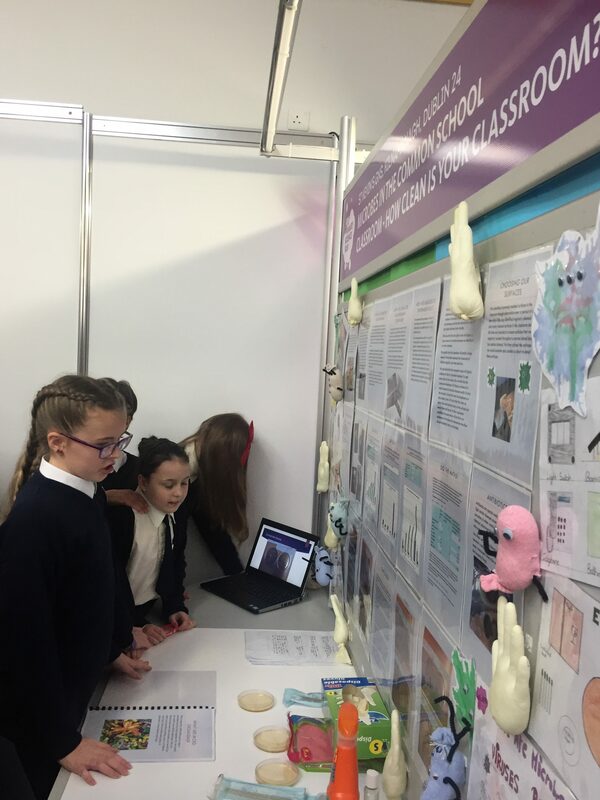 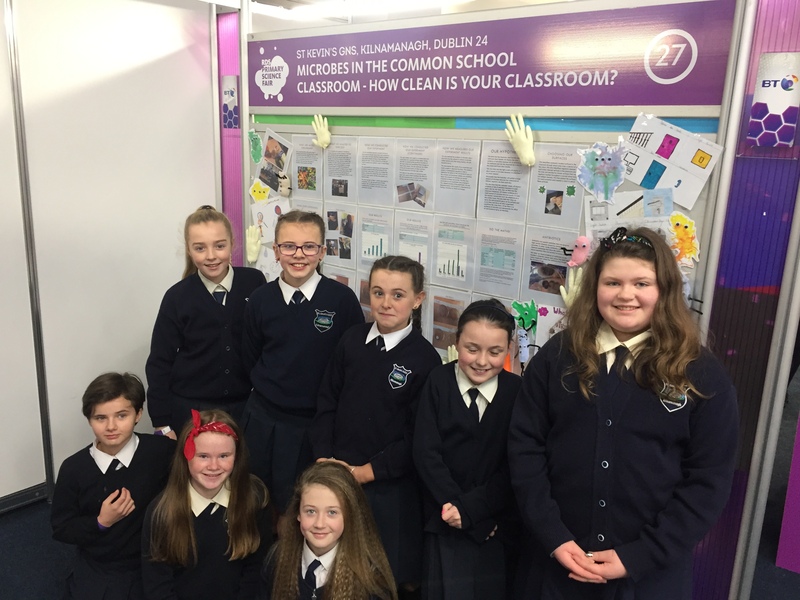 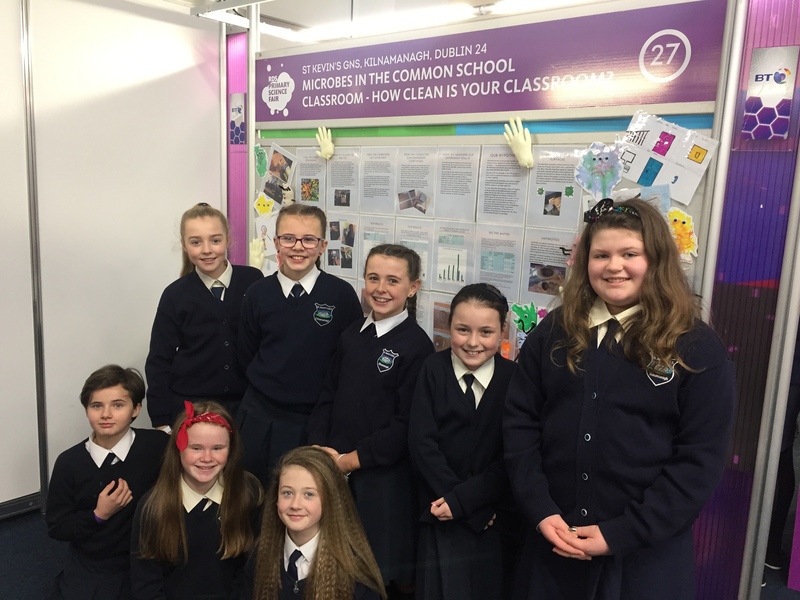 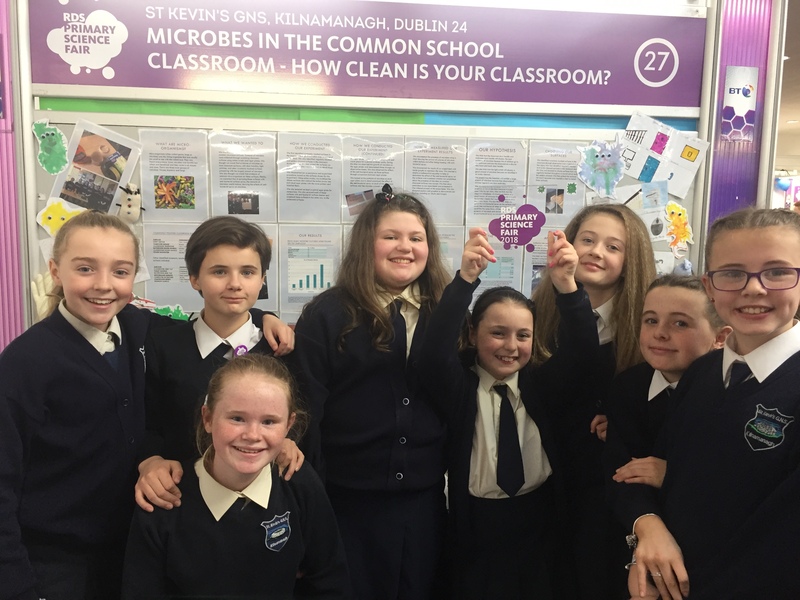 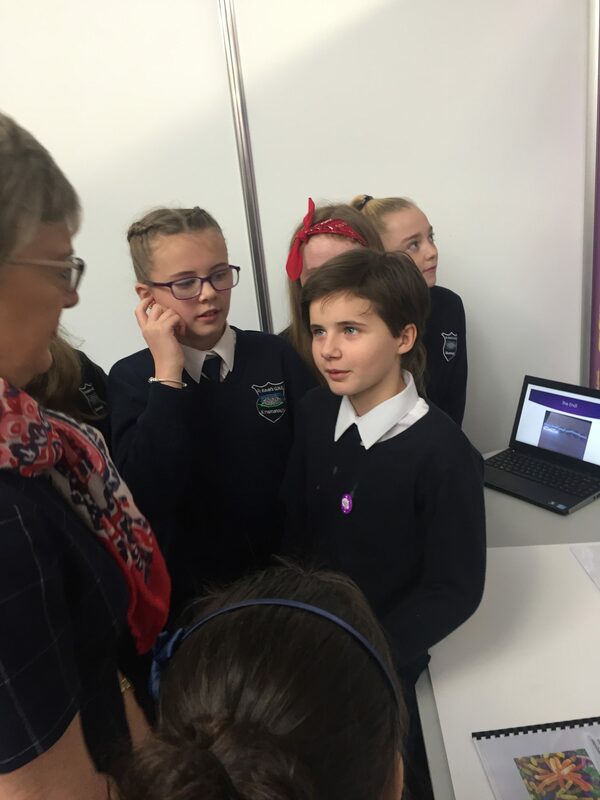 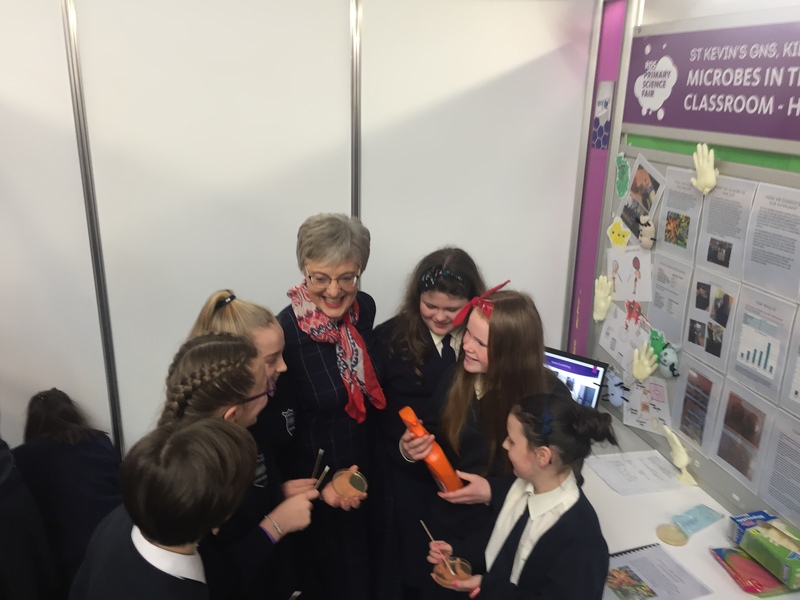 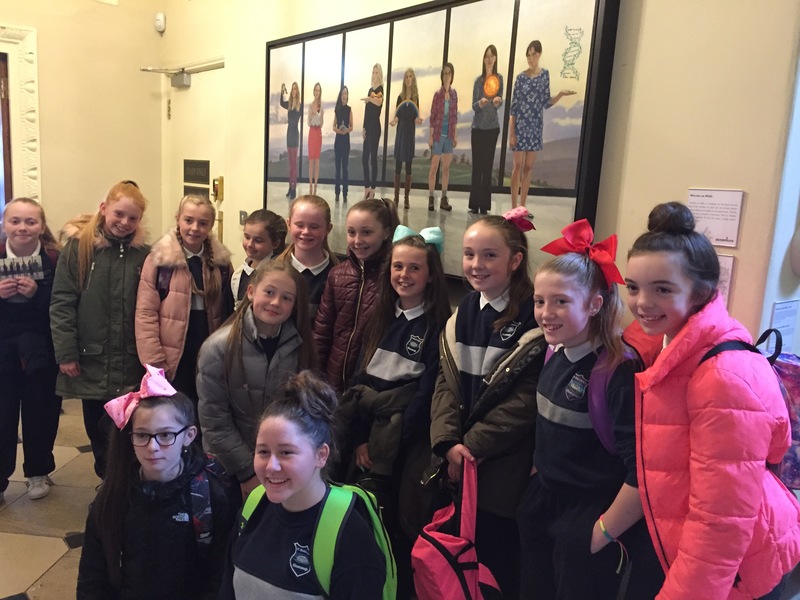 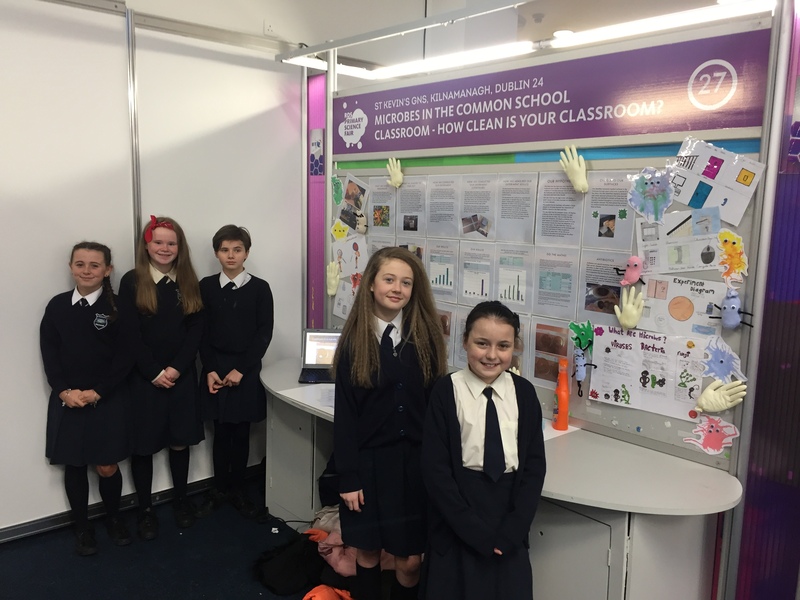 In January 2018, sixth class were chosen to present their project at the Primary Science Fair at the BT Young Scientists Exhibition in the RDS. 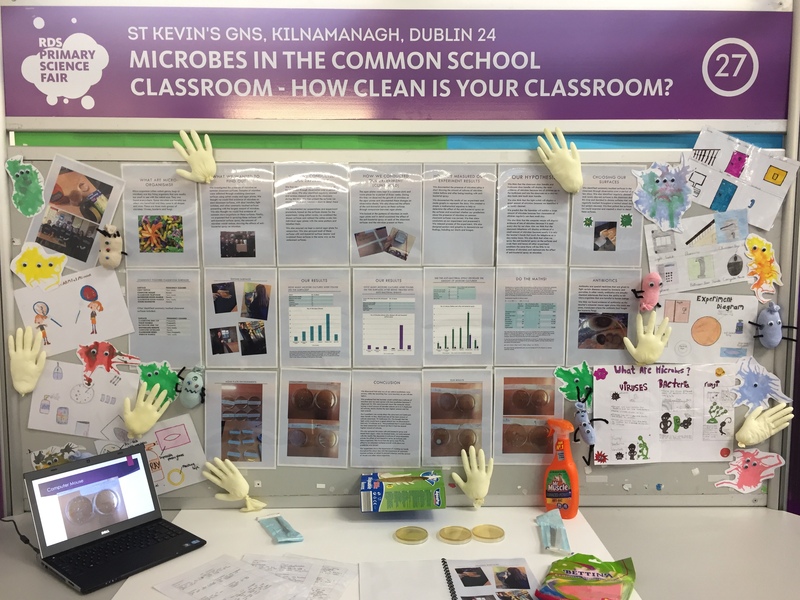 Their project ‘Microbes in the Classroom: How Clean is Your Classroom?’ examined and measured the amount of micro-organisms found on commonly-touched classroom surfaces. 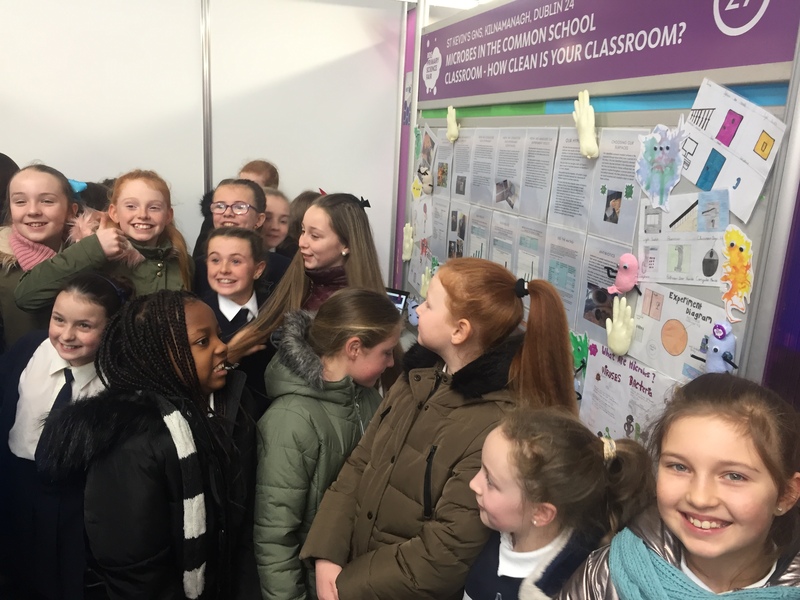 It was a wonderful experience and has hopefully inspired some of the St. Kevin’s girls to pursue science further in their education.